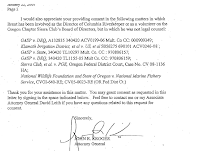 After receiving a stinging letter from Rep Mike Schauffler, D, Happy Valley (story here), now Republican House Minority Leader Bruce Hanna, R, Roseburg, has followed up with a letter (here) to Oregon Attorney General John Kroger demanding the full disclosure of all emails pertaining ousted environmental lawyer, Brent Foster (see previous backgrounder here). 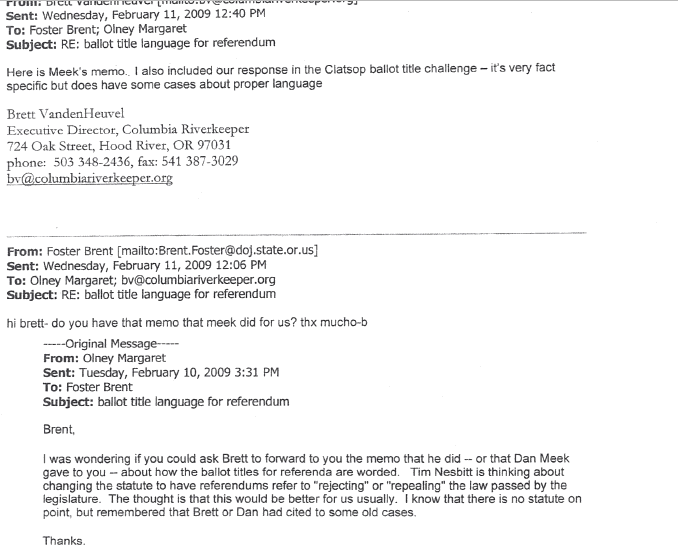 The emails were requested by a reporter for North Coast Oregon, a news web site. 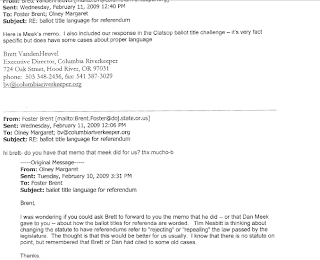 Sixty nine emails in question were redacted by the AG’s office. 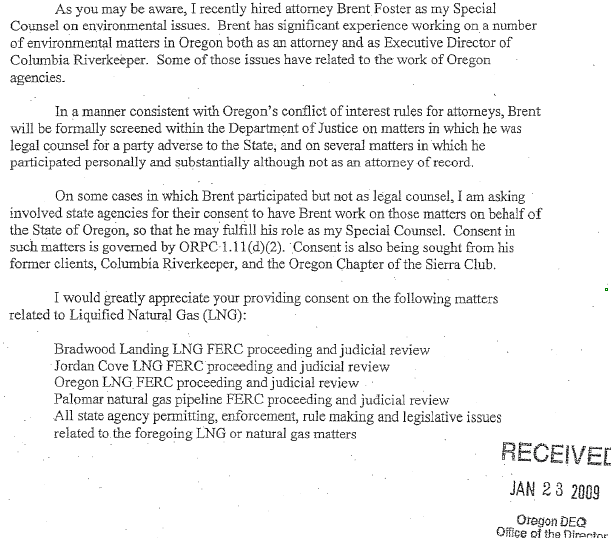 The emails may flesh out the story of whether Oregon’s Attorney General, John Kroger, has intentionally withheld information damning to his office’s handling of a case against a supposed corporate polluter and allegedly one of his key aides to run out of the AG’s office a political campaign against the LNG Terminal at Bradwood Landing. 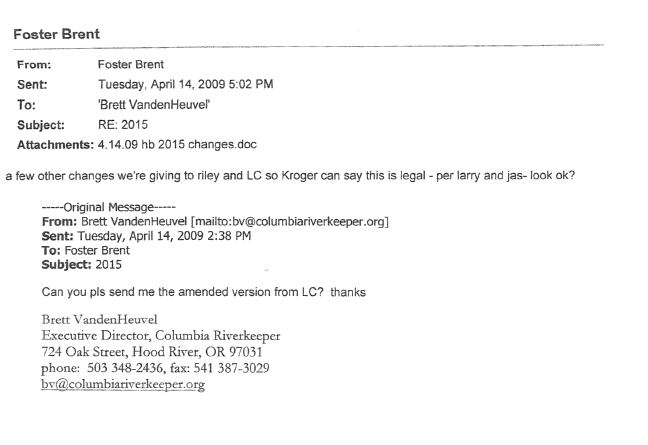 Kroger has made government transparency a major issue since taking office. 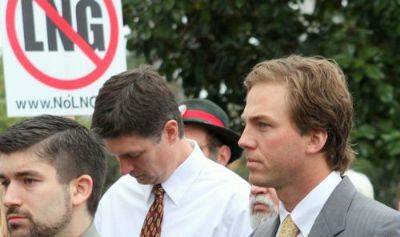 Foster was a busy political speaker. Look at the third item down. 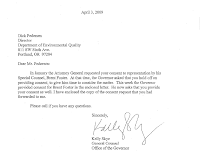 Hanna also took a swipe at the request by Attorney General Kroger to allow Foster a conflict of interest waiver, considering Foster’s advocacy for and against issues he would confront while with the AG’s office. 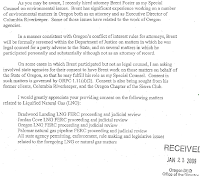 Did the Attorney General of Oregon knowingly allow a campaign against the LNG terminal proposal in Bradwood Landing to be run out of the AG’s office? 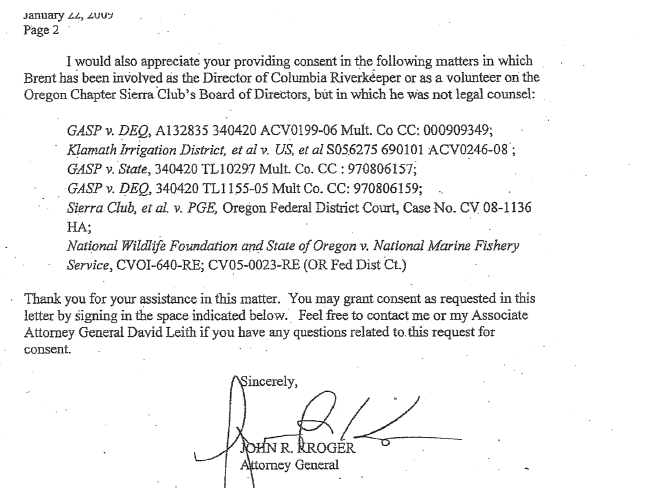 Did John Kroger know about and allow former Columbia Riverkeeper chief turned AG Environmental Counsel, Brent Foster, to write legislation from his office which would serve to kill the project? 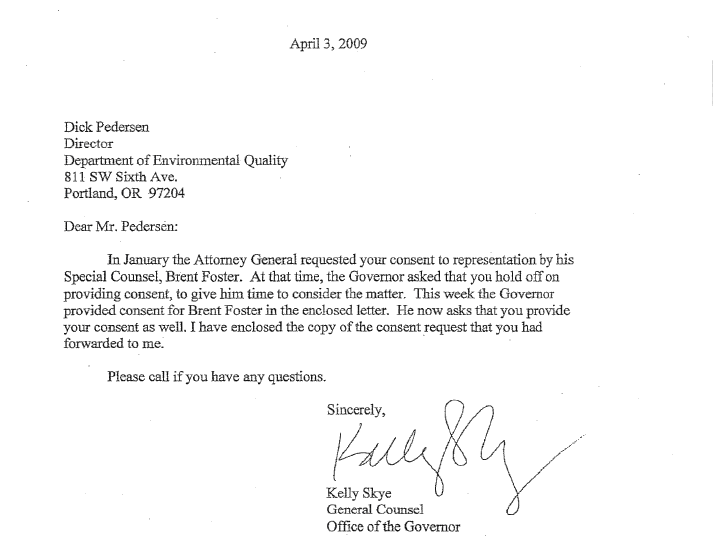 Did the AG allow Brent Foster the latitude in his job so he believed he could phony up a water sample from a company and use it to prosecute them for pollution? 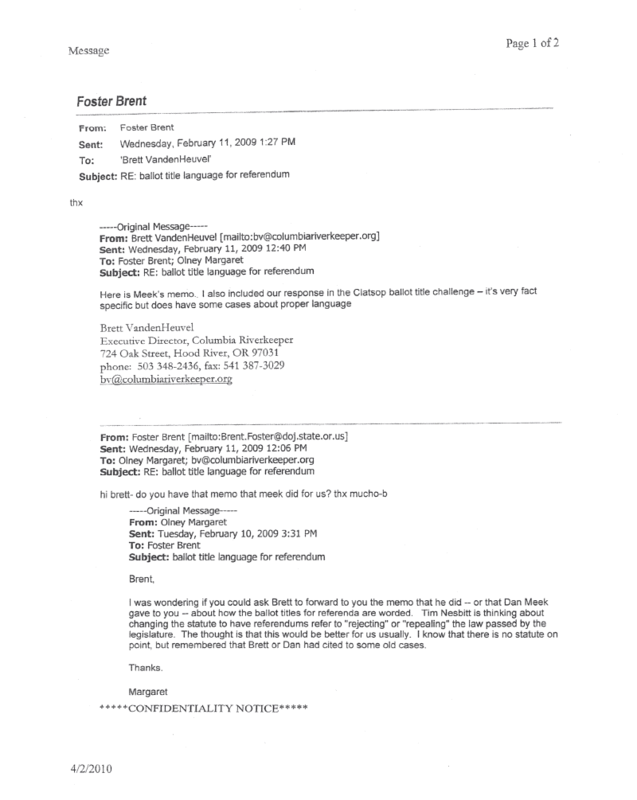 And now that the AG’s office is fighting disclosure of 69 emails by Foster to others, is a coverup underway? 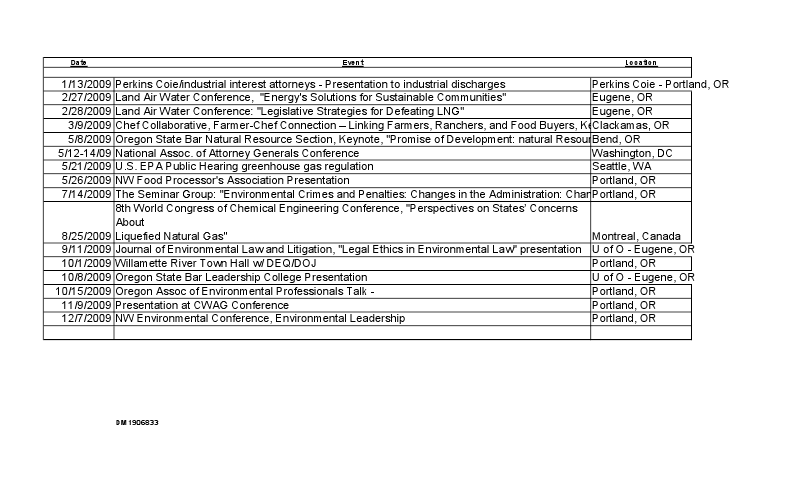 There are a lot of questions and what we know so far is making a lot of people nervous. 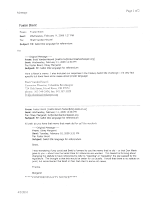 As reporter Carrie Bartoldus notes, on Thursday she put in a public records request for information on Foster. 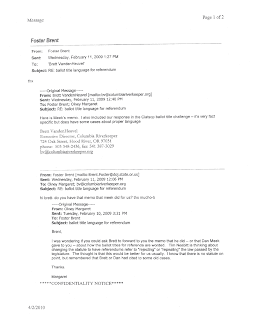 By Tuesday Foster was fired.